The truth is: I am L-A-Z-Y. If there’s a corner to be cut, you can betcha I’ll take it. I like to think I’m lazy, because I’m just so tired from working so hard. So… you know. There’s that theory, if you want to take it. The great thing about this post is that I’m actually giving you TWO ways to be lazy and still make something pretty awesome. Oreo truffles are bomb diggity. 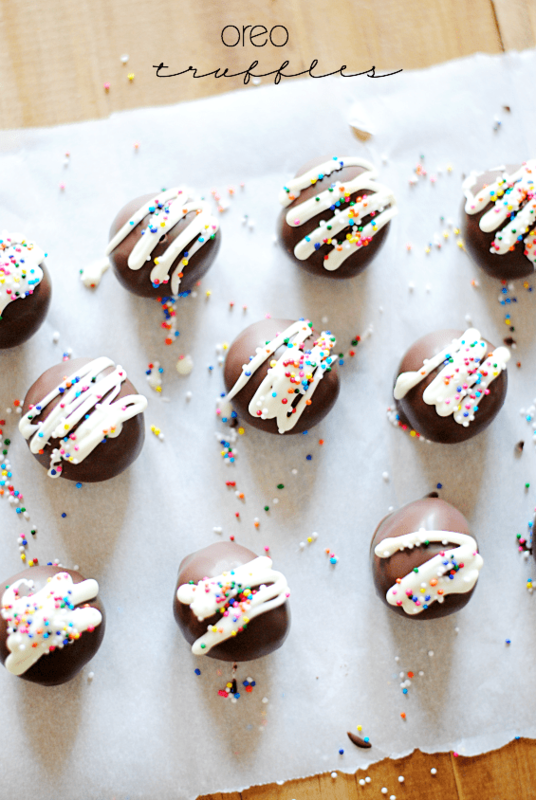 The center is made up of two simple ingredients: cream cheese and a package of your favorite Oreos, all coated in Ghirardeli chocolate candy melts (you can use any brand, really, but that’s my favorite) and topped with sprinkles! These truffles are creamy on the inside, crunchy on the outside, and chocolate-y all over. Everybody loves these all year round (definitely be sure to add these to your Christmas cookie plates! ), and best of all: they are super, ridiculously easy to make. Especially when you use my fool-proof, no fail, easy-peasy, no-mess dipping method (that even comes with a no extra dirty dishes option if you melt the chocolate coating in a paper bowl)!! Wellp. Lazy me found a way around all that! Annnnnnnnd, I even made you a step-by-step photo tutorial in video form! I could just tell you how I do it, but it really is so much easier to explain visually. So….. just watch the video ;) And enjoy! Crush the Oreos in a food processor or blender to form fine crumbs. Use a stand mixer to mix together the Oreo crumbs, the cream cheese, and the pinch of salt until there are no loose crumbs and no visible white from the cream cheese. Prepare a cookie sheet by lining it with parchment paper, wax paper, or silicone. Use a small cookie scoop (about 1 tbsp) to scoop out balls of the "dough" onto the cookie sheet. Place cookie sheet in the freezer for 30 minutes (this is important!). Remove the cookie sheet from the freezer and roll each ball between your palms to smooth and round. Place cookie sheet back in the freezer for 5 minutes. Melt the melting chocolate according to package directions. 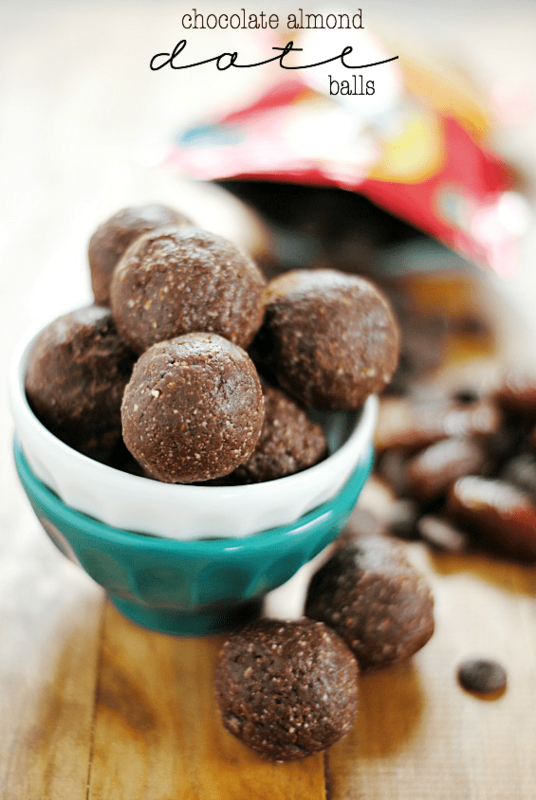 Dip* each ball into the melted chocolate, allowing excess chocolate to drip off, and place on a fresh piece of parchment paper, wax paper, or silicone to cool and harden. Drizzle with additional melting candy and add sprinkles before the drizzle hardens. *See my video tutorial for dipping the perfect truffles without a mess! Be sure to also follow me on Facebook, Pinterest, Twitter, and in the Something Swanky Dessert Recipes Facebook group! Saw these and pinned earlier and came back to comment because they look too delish not to! I love the video (gosh that much have taken you some TIME to write out all those captions…I have no idea how to even do something like that! If I need to know one day, I’ll pester you:)) You make truffle-dipping look absolutely easy, non-messy and work-free! Lovelovelove this video! And these truffles! 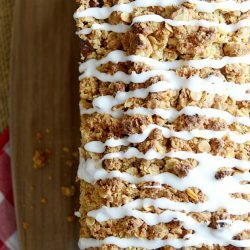 With living in FL, I need as many no bake recipes to stuff into my face as humanly possible, and these fit the bill! Pinned! I just watched your tutorial twice! Now I have to see if my truffles look better. They haven’t been super pretty lately. This will help a lot! I love Oreo truffles and your video tutorial was very fun to watch! Oh my goodness, these truffles are seriously incredible!! I love love love oreo truffles!! 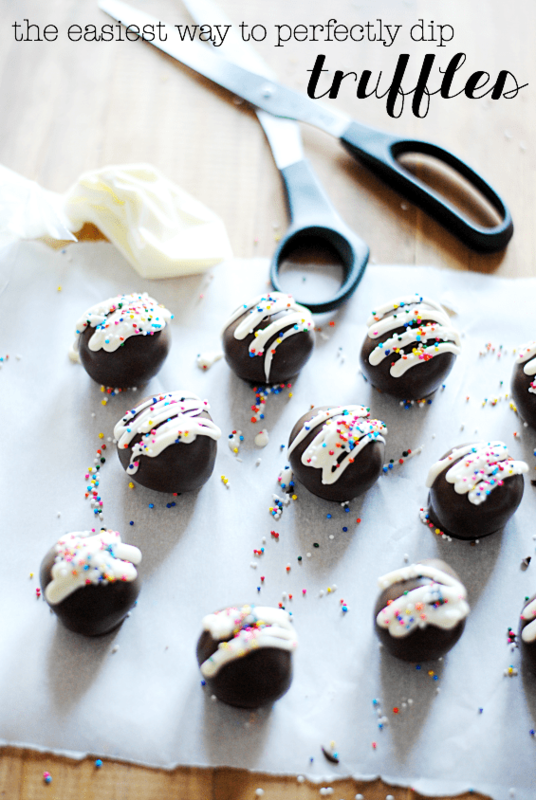 I am kind of obsessed with how easy these cookie truffles are! I don’t know why – something in the simplicity just gets me! And the only thing that keeps me from making them, is dipping them. So thank you for that video! 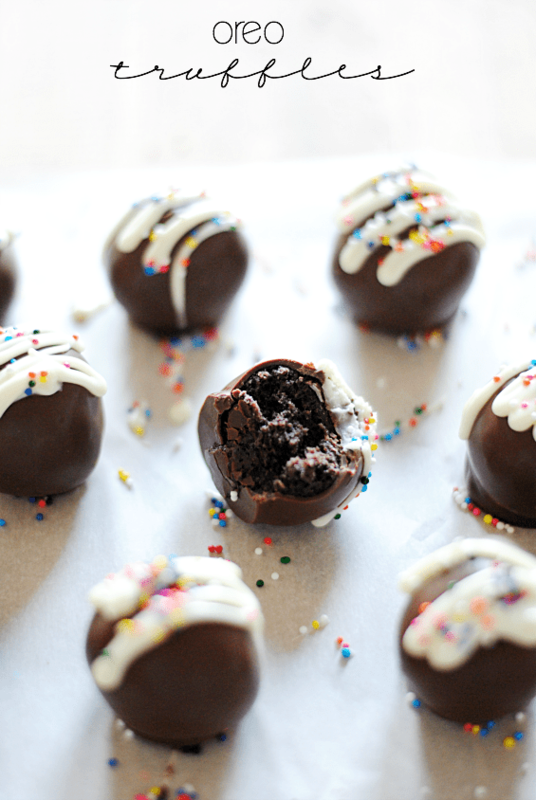 Oreo Truffles are seriously the best things ever!! Love your tutorial. That took a lot of work girl! Your truffles look amazing! 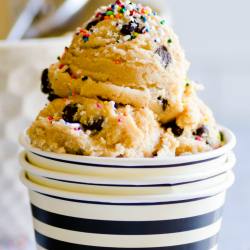 Dying to hop on over to the cookie dough buckeyes post next! Practically drooling… And this tutorial makes them seem way less intimidating! This video is awesome, I’ve often considered dipping truffles but usually don’t. I’ve a question – have you tried removing the sticks before the chocolate melts and what happens? These look delicious. Does the chocolate crack with the cold cookie and the warm chocolate?